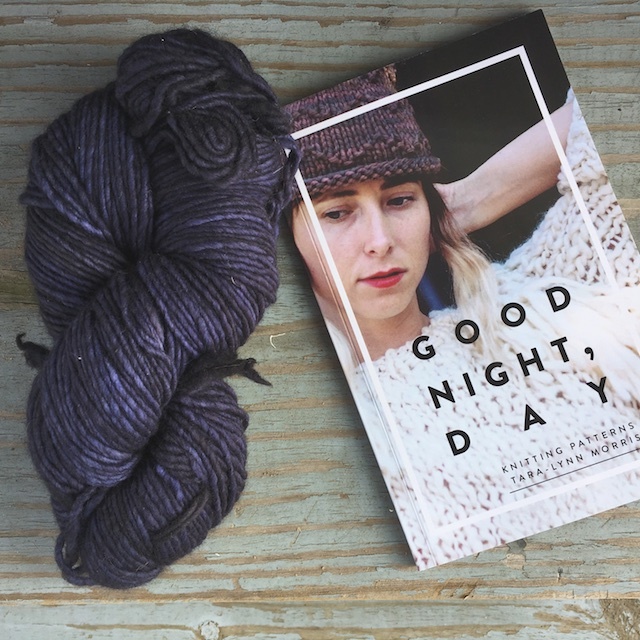 I received my Good Night, Day book in the mail yesterday! This is the book I've been diligently test knitting for this Fall. 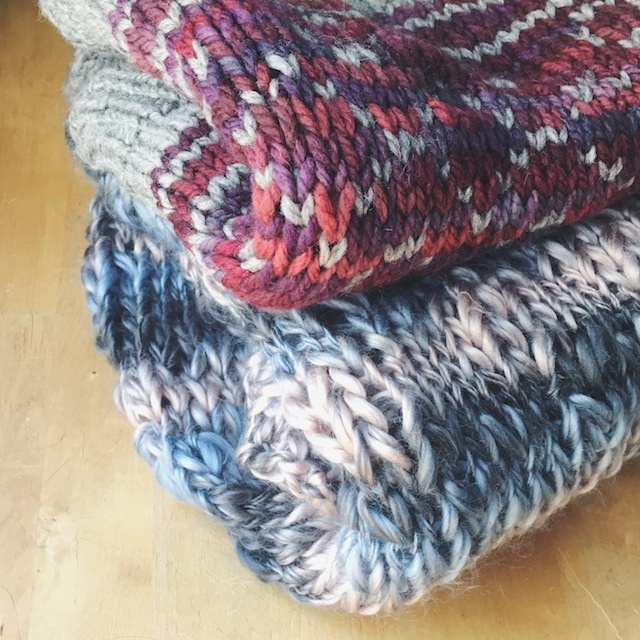 As a result, I have tons of glorious bulky knits for myself and as gifts, and I learned so much about pattern construction. I think I've taken clear pattern writing for granted, as a knitter. I just consume these instructions and never look back at how they're put together. After doing some tech editing for this book, I have a new level of appreciation for designers. There is so much more to being concise, consistent, and engaging than I ever recognized. Even designs that don't require a lot of sizing still require such attention to detail. You can see there was a little something else tucked into my package. That super soft, single-ply worsted is already on it's way to becoming a York Bobble Toque this morning. I started following Tara-Lynn's designs back when she was selling under Yarn Over Movement. I loved all of that bulky goodness! At first I only saw her as a source of inspiration, as she mostly knit ready-to-wear items for her shop. 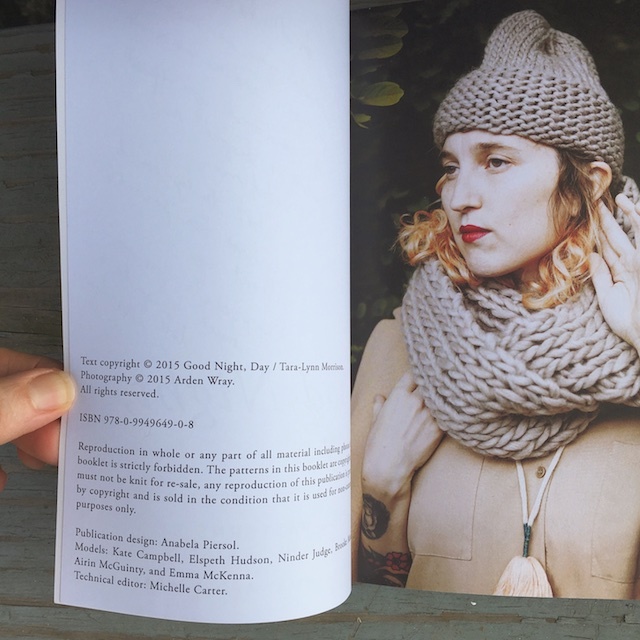 As her style evolved and she broadened her business to include patterns for her designs, I purchased her knitting booklets. I loved her use of color and knitted items as statement pieces. So, I would've bought this book even if I hadn't been involved in testing. Firstly, because I love bulky knitting, but also because I like supporting independent design whenever I can and this book is gorgeous. The page design by Anabella, of Field Guided, complimented by photos from Arden Wray, elevate this to a work of art. The quality of light and color on each page makes me want to pick it up and thumb through it again and again. 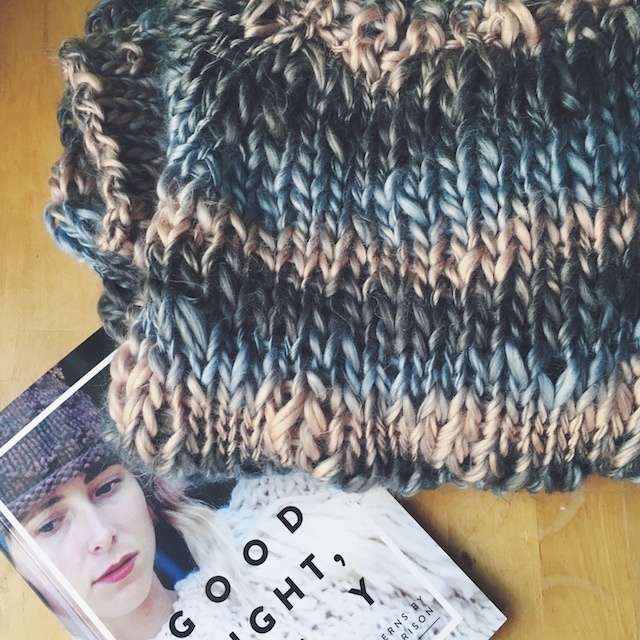 Some of my favorite images that Tara has shared already on instagram are the York Bobble Toque, which I'm knitting with that indigo skein, and a flip-thru of the whole book. I am still thinking of things I might have done better as a tester, but, ultimately, I'm just so proud to have been a part of this project. This is one of Tara-Lynn's dreams realized! What a beautiful thought. I still haven't posted about my last two knits from this book, which can be seen above. I knit both Kingston and Innisfil smaller, to fit my daughter. She just hasn't been around when it's light enough for photos, but you can see bits of them here. I had to go with lighter weight yarn than the samples, so they are sized smaller, which works for her. I was also running low on bulky yarn at one point and so put some impromtu colorwork into the Innisfil Tank. I'll post more later when my model shows up, but don't expect the greatest yarn- I worked with what I had. The Sylvan turned out to be a striping yarn, which wasn't my first choice. But, these allowed me to test the patterns and gave me a taste for what I can do when I find the right thick and thin yarn.